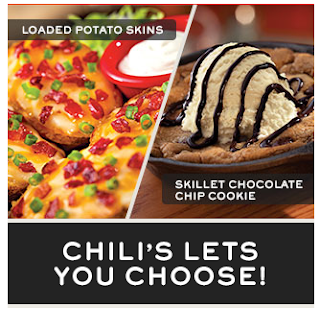 Stop by your local Chili's on October 8th or 9th and enjoy a FREE Appetizer or Dessert. Please note that there is ONLY 1 coupon available per table. Don't forget, there is no need to PRINT this coupon. Chili's allows you to show the coupon on your mobile device.